I have one word for you today: Transitions. How am I only realising this now? I need time to transition between activities in order to keep my work/life balance from imploding. It’s 5.55am and I leave the house to get my train in 5 minutes. I’ll just put that load of washing on and take the clothes from the dryer upstairs before I put my shoes on. It’s 4.55pm and I have to leave the office in 5 minutes. I can totally fit in writing another email before I go. No! It’s no wonder I’ve been so frazzled. I have written before about literally running to meetings. I know people say that you can learn a lot from your children but I really think that managing transition time might be the most important thing they’ve taught me. you can learn a lot from your children but I really think that managing transition time might be the most important thing they’ve taught me. Set alarms before meetings (Outlook does this for you) and get my thoughts and papers together, even if it means – shock – arriving at the meeting room a minute or two early with nothing to do but wait. Start winding down at work 30 minutes before I need to walk out the door. I no longer have the kind of life where I can stay until I naturally finish my tasks and feel satisfied in my accomplishments, and leave then. I have trains to catch and boys to kiss at bedtime. So I have to have a plan to go, and get myself in a mental state where I’m not trying to jump from ‘work mode’ to ‘commute mode’ in 2 seconds. 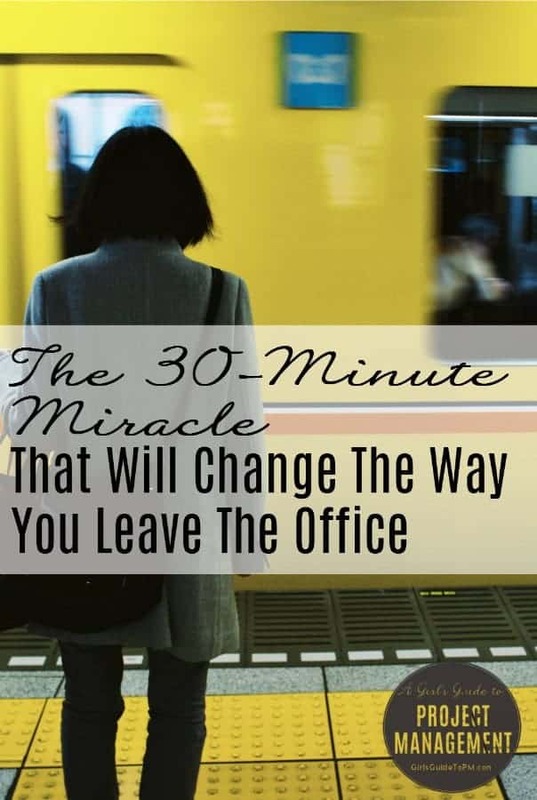 The 30 minutes-leaving-work transition is the biggest revelation for me. I start checking my To Do list and making sure the big things are done (and I’ve left myself time to do those straggler tasks like sending that half-written email I started at 8am and haven’t got round to finishing yet). I mark the most important things for tomorrow so I know what to focus on when I get to work. I do end of day things like change my out of office message, take my cups back to the kitchen, last minute check in with my team. It means I am leaving the office much calmer and more organised. All those good feelings are normally blown out of the water by the ongoing train strikes and disruption we’ve got on the journey home, but hey, I can’t fix everything! I tried this and it works for me although practice is needed. I sometimes only leave 15 min which isn’t enough. But it is getting better and I’m less frazzled. One time I left the office and left my laptop there when I was working from home the next day. I had to go all the way back that night to get it. Now that likely won’t happen as I have some time to run through a checklist. I’m constantly getting it wrong too – it’s just something to aim for and we need to grant ourselves a bit of grace when it doesn’t work out. I agree that 15 minutes isn’t enough for me either. But at least it’s a start! Thanks for taking the time to comment. Wow, the 30-minute wind down sounds like a great idea! I wonder if it can work in non-office environments? I work from home, so I don’t ‘transition’ to another physical location when I finish working. But I’ll try and see how it goes. Thanks Elizabeth! Tris, I work from home part of the week too, and I think it’s even more important there. It helps me tidy my mind ready for the next part of the day, which is inevitably busy in a different way! Have you tried writing a work journal as part of your last 30 minutes of work? I have found that reflecting on your day, looking at things that you might have done differently and writing them down really helps you to improve your working day. I try to spend about 15 minutes writing a quick reflection of the day and concentrating on “critical moments” when things went especially well or badly. There are also a variety of methods you can use like GROW (Goals, Reality, opportunities, will) that can help you take control. Paul, that’s a great idea. I do reflect on the day, but normally on the commute home, and mainly focus on the negative aspects! I can see that a work journal would formalise it and probably cement any learnings, plus offer that counterpart of making sure to recognise little wins throughout the day when they happen so they don’t get overlooked. Thanks for the suggestion! 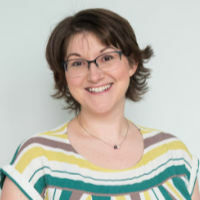 I love it…you are so right about how we think about managing other people’s time (particularly those little people in your home life), and forget all about yourself…isn’t that a trend of parents around the world? I always set my meeting reminders to 30 minutes prior – it doesn’t mean I’m always there early and calm, but it has helped some! Glad to know that I’m not the only one doing this! Great word and tip, Elizabeth…and I totally agree it makes us less harried. One tip I’ve started implementing is to schedule my hour-long meetings for 50 minutes instead, which benefits not only myself, but others as well. It lets me get to my next meetings on time if they’re back-to-back and reminds me to wrap up and summarize before that 50-minute mark. Keep ’em coming, Elizabeth…thank you! Thanks, Annie, that’s a good tip! Great tip I am going to try this. It also sounds like a great way to prepare for the next day by allowing time to work through what will need to be done on the to do list.